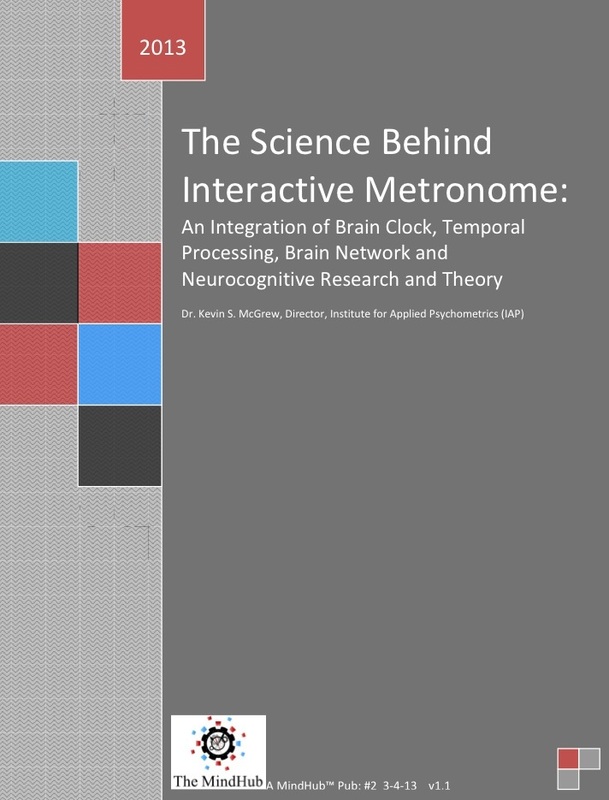 The second MindHub Pub working paper is now available: The Science Behind Interactive Metronome: An Integration of Brain Clock, Temporal Processing, Brain Network and Neurocognitive Research and Theory. The PDF document can be viewed/downloaded by click here. 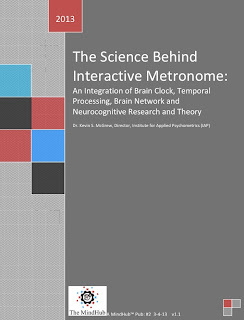 This working paper is an integration of research and theory that attempts to explain the science behind the positive outcomes of the Interactive Metronome rehabilitative and brain training neurotechnology (the IM effect). 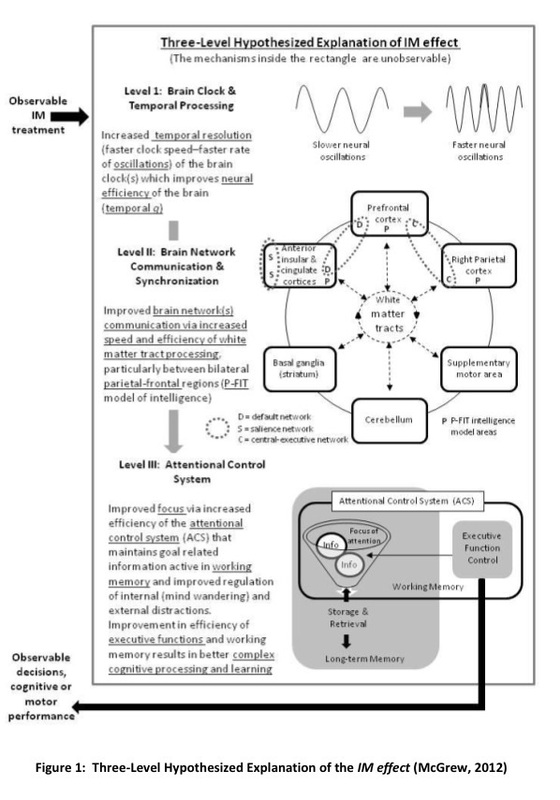 A three-level explanatory model involving three different levels of brain and neurocognitive constructs (McGrew, 2012) is described. The three-levels are presented in the visual summary in the figure below. 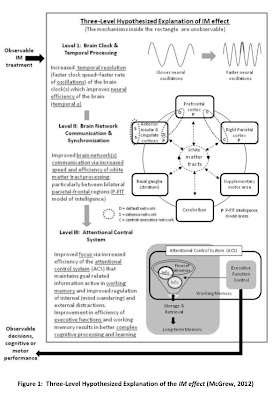 Although the text focuses on explaining the IM effect on cognitive functions (focus, controlled attention, working memory, executive functions), the three-level hypothesized model should be considered a general explanatory framework for understanding the positive IM effect in other human performance domains as well (e.g., recovery from stroke; gait; motor coordination). The three-level model described here can also be viewed as an IM-free integration of research and theory that explains the relations between the temporal processing (temporal g) of the human brain clock (s), brain regions and networks, brain network communication and synchronization (the parietal-frontal integration theory of intelligence [P-FIT] in particular), and the neurocognitive constructs of controlled attention (focus), working memory, and executive functioning.